On this date in 1943 the Japanese news agency Domei acknow­ledged that the 8,000‑ton Kon­ron Maru was sunk by an Ameri­can sub­marine off the west coast of the Japa­nese home island of Hon­shu, with the loss of 544 lives. 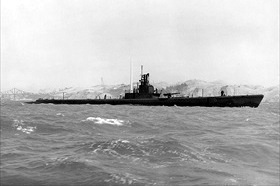 The steamer was sunk by the USS Wahoo using the new, still not per­fected Mark 18 elec­tri­cally pro­pelled tor­pedo based on a Ger­man design, the G7e, several of which had been retrieved after running ashore. The Wahoo, skippered by the legen­dary Dudley “Mush” Mor­ton, was one of the most cele­brated sub­ma­rines of World War II, sinking at least 19 Japa­nese ships, for a total of 55,000 tons, more than any other sub­ma­rine of the time. On this, her last patrol, the Wahoo sank three more ships for 5,300 tons using Mark 18 tor­pe­does before Japa­nese anti­sub­ma­rine forces sank the U.S. sub on Octo­ber 11, 1943, with a loss of all hands. The advan­tage of the Mark 18 was that it could be fired in shal­lower waters than the older steam tor­pe­does like the Mark 14, and it left no tell­tale wake of ex­haust or bubbles to dis­close a sub­marine’s loca­tion—an im­por­tant virtue in day­time engage­ments. The Mark 18 was 20‑1/2 feet long and 21 inches in dia­meter. The tor­pedo weighed a little over 3,000 lb, had a war­head of 600 lb of Tor­pex (50 per­cent more power­ful than TNT by mass) with a con­tact explo­der, and with its 90 hp direct-current elec­tric motor had a (relat­ively slow) speed of 29 kt (33 mph) and a maxi­mum range of 4,000 yards. The Mark 18 had one serious defect, though: it had no pro­tec­tion against cir­cu­lar runs. A cir­cu­lar run claimed the USS Tang for cer­tain and pos­si­bly other U.S. sub­ma­rines. (Tang’s nine sur­vi­vors, in­cluding its skip­per and former Wahoo execu­tive officer Richard O’Kane, were picked up the next morn­ing by a Japa­nese de­stroy­er and in­terned until the end of the war.) By July 1944, an im­proved Mark 18 appeared. Some 30 per­cent of torpe­does fired by U.S. sub­marines in the Pacific War were Mark 18s. Left: The USS Wahoo off Mare Island Navy Yard, Cali­for­nia, 1943. Its skipper was Lt. Cmdr. Dudley W. “Mush” Mor­ton (1907–1943), the first super­star of the U.S. sub­ma­rine ser­vice. Recog­nized as a “One-Boat Wolf Pack,” the Wahoo received the coveted Presi­dential Unit Citation. 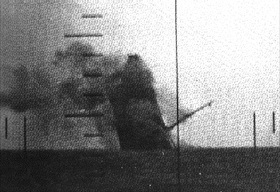 Right: The Japanese freighter Nittsu Maru sinks after being tor­pe­doed by the USS Wahoo on March 21, 1943. Within six hours of the Japa­nese attack on Pearl Harbor the U.S. Navy adopted a policy of unre­stricted sub­ma­rine war­fare against Japan. Amer­i­can sub­ma­rines attacked war­ships, com­mer­cial ves­sels, and civil­ian pas­sen­ger ships flying the Japa­nese flag with­out warning. From 1943 Allied subs waged an in­creasingly effec­tive cam­paign against ill-pro­tected Japa­nese mer­chant shipping and the Japa­nese Navy. By the end of the war in August 1945, the Japa­nese mer­chant marine had less than a quar­ter of the ton­nage it had in Decem­ber 1941, when it already had a deficit of 40 per­cent in bottoms flying flags of Japan’s new enemies. A tragic conse­quence of this “sink’em all” cam­paign is that more than 20,000 Allied POWs trans­ported in Japa­nese “hell ships,” as they were known, died when the ships were attacked by Allied sub­marines (at least 8 different U.S. submarines) and aircraft. 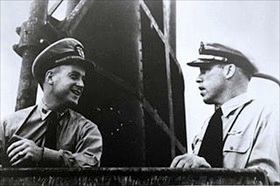 Right: Morton (left) speaks with his execu­tive officer, Richard O’Kane, on the bridge of the Wahoo days after tor­pe­doing the Japa­nese troop trans­port Buyo Maru, north of New Gui­nea, on Janu­ary 26, 1943, on the sub’s third patrol. 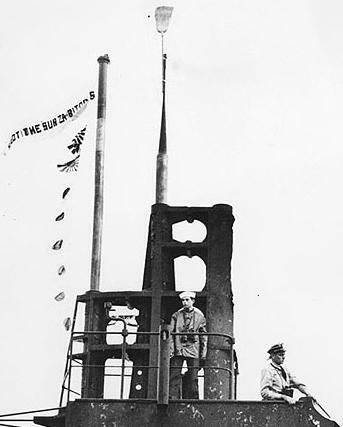 O’Kane would later assume command of the USS Tang.